Big news from Buckingham Palace this morning: we've got another royal wedding on the way this year! Princess Eugenie is officially engaged to Jack Brooksbank. The couple have been dating for several years, and they plan to wed at St. George's Chapel, Windsor this autumn. 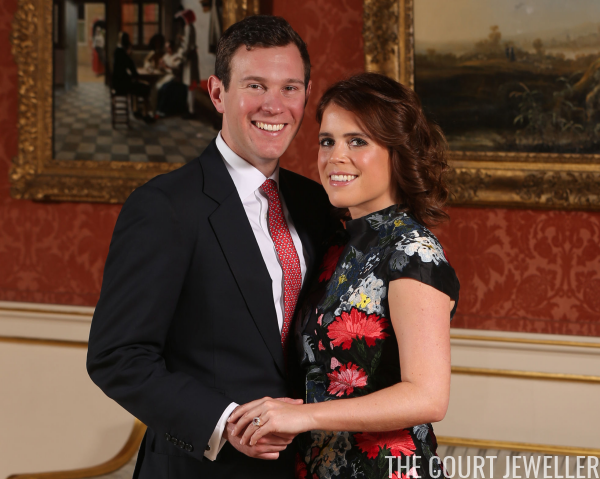 The palace released engagement photos this morning, including a close-up of the ring. 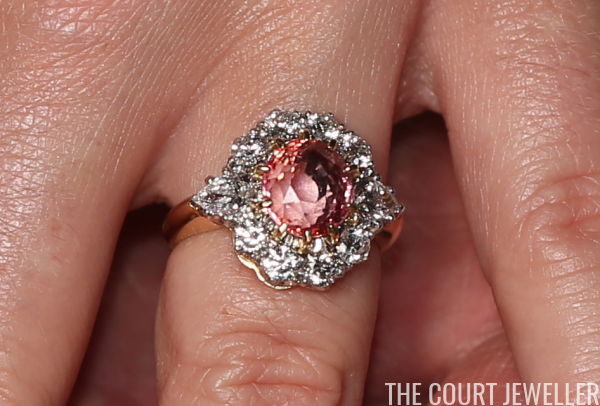 The cluster ring is similar to the ruby engagement ring worn by Eugenie's mother, Sarah, Duchess of York, but Eugenie's is set with a padparadscha sapphire. I've been on the tiara speculation train for this wedding for a long time, and you can read my previous post on possible bridal tiaras for Eugenie over here! Which jewels would you like to see Eugenie wear on her wedding day?